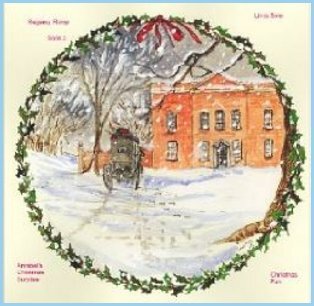 A short fun Regency story with a Christmas flavour. Robert has recently recovered from a wound received in the service of his country when his coach is held up by a highwayman. When he discovers the man's identity a strange tale unfolds. Annabel has a wonderful surprise in store on Christmas morning - a presnrt she loves with no card attached, but what more surprises will she have this Christmas? A little more sensual than book 1 but still a nice happy book.